As many of you know I am presently in Eleuthera, Bahamas and this weekend is Easter and its a bit different than in the US. In the Bahamas, Easter is a big religious holiday and more the way that I remember it as a kid. For instance, this Friday is Good Friday and you will find very few stores or businesses open. Some may be open for a few hours but not many will be open at all. That's a memory that I have from childhood and I can't even remember why. Saturday is a normal day and everything is open and if you have forgotten anything this is the day to do so because you won't be able to until the following Tuesday. Easter Sunday has many ceremonies and church services but you won't even be able to get gas. 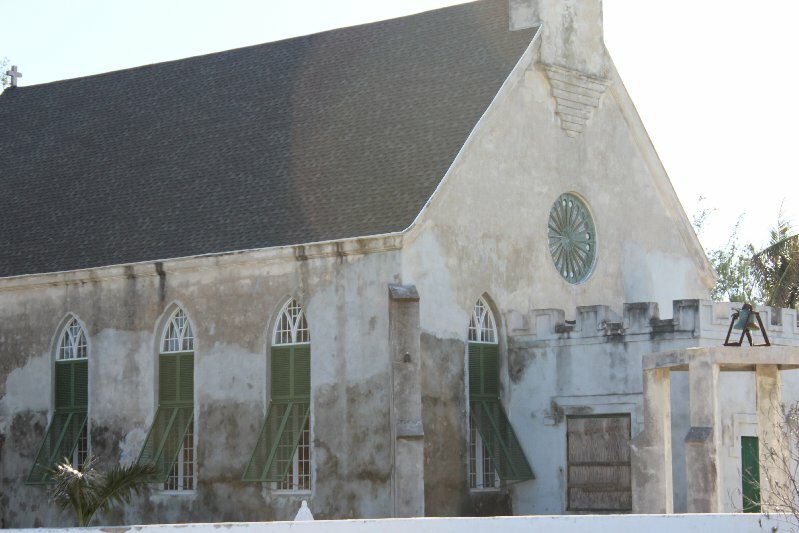 The Bahama's as a region is a very Christian country with churches of every denomination. Monday is Easter Monday and again everything is closed and is generally a day of celebrations. All the various congregations on the island set up great feasts at one of the local beaches and everyone goes, eats, enjoys themselves and as a general rule it is the first time Bahamians will go into the water for the year. That part is funny because the water here, even in winter will be 75-80 degrees and it can be 90 degrees in the shade but they won't go into the ocean. I have to admit I now have a bit of this too. Water that is 80 is what I now consider "refreshing" and below that well--- I just wait. 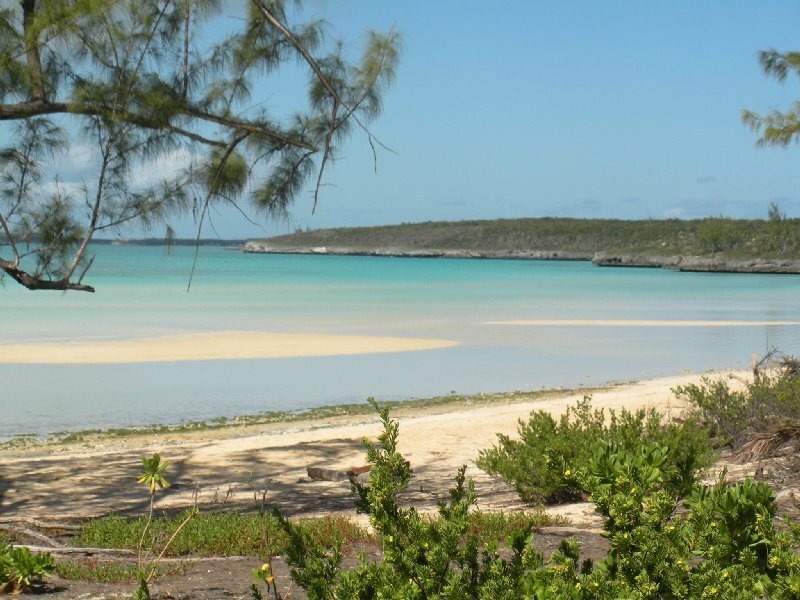 Easter Monday is celebrated on the calmer Caribbean side such as this and every settlement has its own beach. Here in Governor's Harbour everyone goes to Receiver's Beach which is about 6 miles away. Every congregation provides food and drinks and families from all over the community join in. Strangely it seems that almost every Easter Monday that we have been here it rains and I mean--- It Rains. Most of the time it seems to be at the end of the festivities so it isn't really a problem. Life here and not just at Easter is much like it used to be as I remember from my youth. Things are slower and holidays are holidays- everything is closed. Yet in the last few years, I've begun to see changes happening and stores and some businesses are staying open longer. They have started on the trends of the US and I have mixed feeling about that. When I need to get something, I'm grateful they are open but at the same time it signals a change in the times. Even here. Gandhi said, "There is more to life than increasing its speed." I've had all I want of life in the fast lane and have long since checked out! There's a great deal to be said in favor of that Joe. Now if everyone was on the same page it would have a shot at working. It's funny how "swimmable" water is such a matter of perspective. Here in BC, our ocean water peaks at about 82F (apparently), but you'll still find people swimming in it when it's colder than that. My favourite places to swim here on Vancouver Island are the rivers nearby, but they're always colder than that! Nim, I grew up in Maine and the ocean water there was lucky to hit 65F in a hot summer. We all turned blue and had a great time but as the years have passed I really do better with 85F water. I don't see why so many businesses are open on all the major holidays. Black Friday has gotten out of control over the last few years. It would do the US some good to have 5-8 days a year where EVERYONE is off from work. Easter weekend in your part of the world sounds fantastic! Here James it is just as I remember from years gone by. Holidays, especially religious ones, have every store and business closed. And for an interesting tidbit- do you know what Whit Monday is?